The Apple II, also known as the Apple ][ or Apple //, is an 8-bit home computer, one of the first highly successful mass produced microcomputer in the world, designed primarily by Steve Wozniak although Steve Jobs oversaw the development of the Apple II´s unusual case. It featured Rod Holts unique power supply. 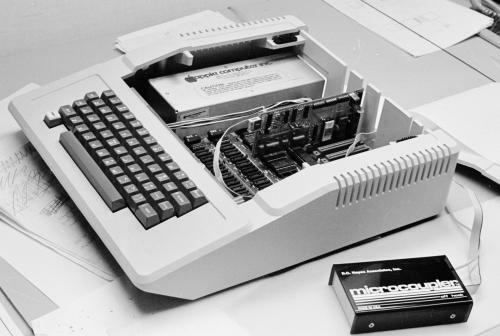 Introduced at the West Coast Computer Faire in 1977 by Steve Jobs as Apple Computers first consumer product. 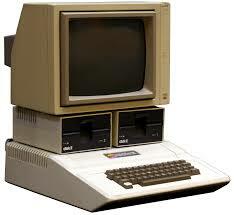 It is the first in a long lasting series of Apple II computers, discontinued in november 1993. The first computers went on sale in june 1977. It featured a MOS Technology 6502 microprocessor running at 1.023 mhz, two game paddles, 4kB of RAM, audio cassette for loading and storing data and programs and the video output was stunning 24 lines by 40 columns monochrome uppercase-only display. The Apple II features connectivity via both parallell, seriell ports and SCSI. Memory expansion up to 64kB, storage through audio cassette and Disc II capable of stunning 140kB. Display could bring up to 16 colors in lo-res and the speaker works in 1-bit. Built-in integer BASIC language in ROMs. Developed by Steve Wozniak the integer BASIC was the BASIC interpreter used in both Apple I and II. Thousands of programs were written for the integer BASIC. The Apple II was followed by the Apple II Plus. 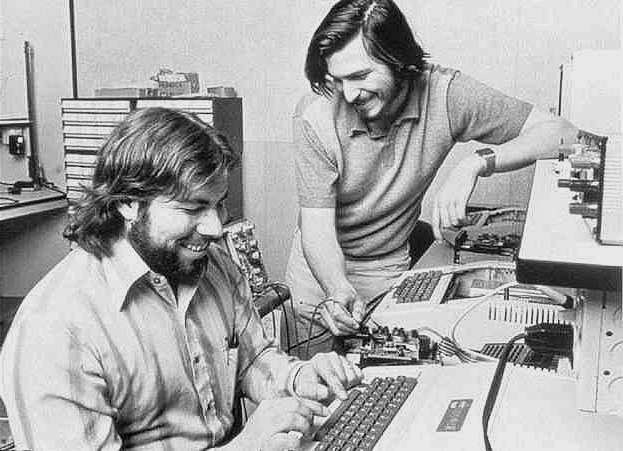 Woz and Jobs decided the Apple II would load their OS from the circuit board, instead of needing to be loaded manually. It would also have a fan less power. 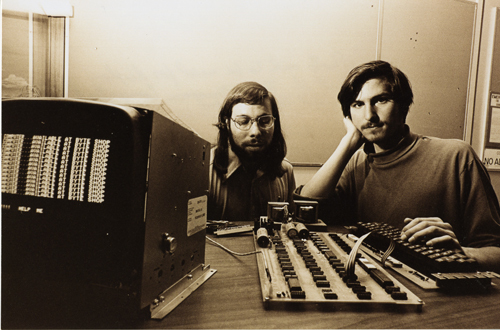 Steve Jobs and Steve Wozniak working on BASIC programming on the Apple II.